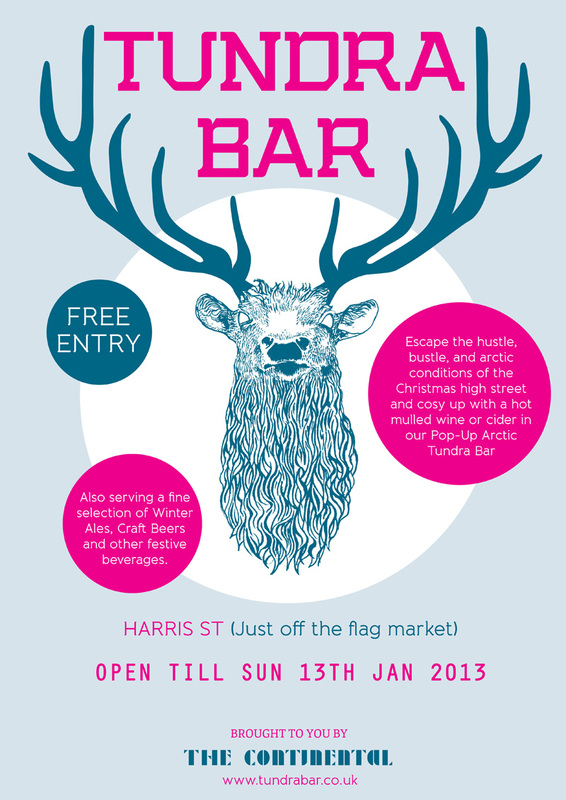 It’s the last week of the Tundra Bar, so come and have a drink or two, the perfect way to expel the January blues. The bar is being brought to the city centre by The Continental, known locally for its buzzy and creative atmosphere, restaurant quality dishes, and its artisan and adventurous range of drinks. Tundra will feature hot mulled wines and ciders, a selection of winter ales, craft beers and a plentiful range alcoholic & non alcoholic beverages, teas & coffees, and not forgetting hot Vimto to warm the kids. There’ll be space inside and out to enjoy the festive fun, with areas that can be specially reserved for Christmas parties.